The selling point on the front cover for Pyewacket was it was “from the producers of The Witch”, and that if of itself doesn’t usually mean a whole lot, but it does certainly share some elements, most notably a teenage girl summoning up a demon. I wasn’t the biggest fan of The Witch but for some reason, this one did just enough for me being a surprisingly effective psychological supernatural-horror film, something you don’t see all too often. The plot centers on Leigh (NICOLE MUNOZ) who, as well as her mother (LAURIE HOLDEN), is still reeling from the recent passing of her father. To deal with the pain and loss, Leigh has turned to the dark occult along with her friends. When her mother feels it’s time for a change and sell their home moving two hours away, teenaged adolescence kicks in and following a fight, Leigh goes into the woods and calls upon the demon Pyewacket and places a death curse on her mother. Not too long after, though, Leigh regrets but it’s too late as something has arisen. Here’s I think where Pyewacket distinguishes itself from others with similar plots (mainly the summoning of a violent spirit), instead of a bunch of jump scares interspersed with some crappy CGI/make-up, instead the film takes its time with character development and, especially, the devolution of Leigh and her attempts to correct the wrong. I was actually invested in that character and because I was, I found the slow burn of the story to be quite engaging leading up to a finale that was absolutely shocking, which isn’t easy to do nowadays. The performances from both Nicole Muñoz and Laurie Holden were well done, and even Chloe Rose in her smaller part, were haunting, and seemed to be rather realistic in terms of the strained mother-daughter relationship. The young Muñoz was especially impressive and could very well be, if we continue with the comparison with The Witch, the next Anya Taylor-Joy. Writer/Director Adam MacDonald made his feature debut with 2014’s Backcountry, a movie I had seen but don’t remember a whole lot about it (based on my rating on IMDb, I thought it was okay), and like Backcountry, Pyewacket is also a small story with minimal characters and an external threat (a black bear in the Backcountry). Might only be two films deep in his early career, but it is apparent MacDonald has the talent on the indie front, so hopefully he gets his shot with something bigger, if he so wanted of course. 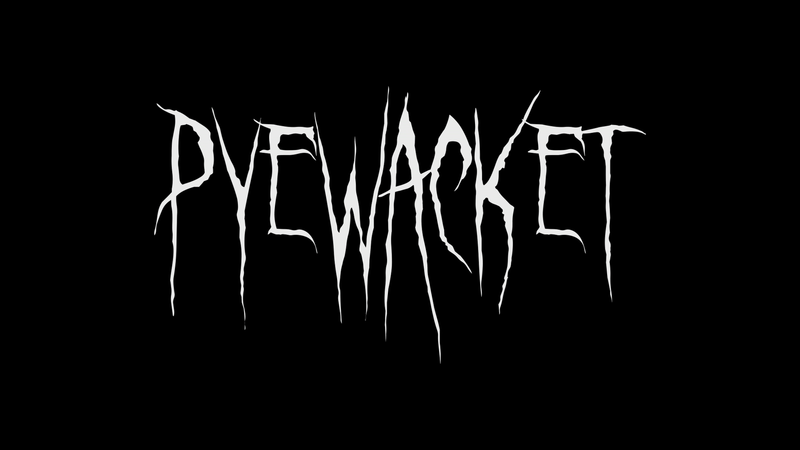 In the end, Pyewacket is a just an all around well done and entertaining film with a few creepy and one stunning moments. This release comes with a matted slip cover and the inner cover is reversible. Unfortunately features are limited with only a Making-of (17:34; HD) featurette with behind-the-scenes footage and on-set cast/crew interviews and the Theatrical Trailer (1:40; HD). Shout Factory releases Pyewacket onto Blu-ray with a 2.40 widescreen aspect ratio and a 1080p high-definition transfer. For the most part, it is a good looking picture, colors are on the muted side probably to keep the horror-esque atmosphere but detail is relatively sharp. On the downside, although it is free of artifacts and aliasing, there were noticeable instances of banding in spots. The disc includes a strong yet also subdued DTS-HD Master Audio 5.1 track. 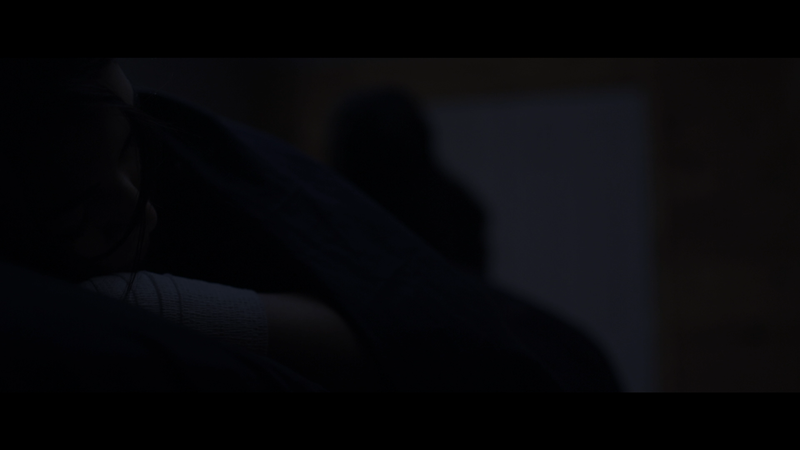 The bulk of the movie is either quieter moments or filled with dialogue but there are instances where it is rather intense and strong like when the demon is kicking in a door; the LFE channel does turn on for that extra measure of depth. Overall, I had rather low expectations for Pyewacket both based on a really dumb sounding title, and still think it’s laughable, but also these direct-to-video supernatural-horror movies generally aren’t very good. Well, this one genuinely surprised me with a well told story, solid performances to go along with an interesting and realistic central character. Do you have an annoying horizontal line that only runs during Leah’s lines when he Mom tells her that they are miving? I didn’t notice one when I watched, but will double check tonight. Alright, so I just checked and didn’t see any during that scene. Is it that entire scene? And what part of the frame do you see it?